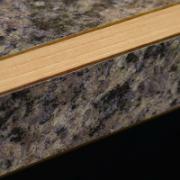 These are some of the premium edges available for our High-Definition laminate color choices. 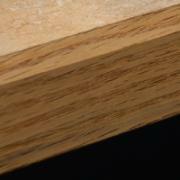 Many are the options available for Custom Laminate, but there are a few more here as well. This is a very traditional looking applied edge. These are available in any species and can be finished to match your cabinets. If you like a wood edge, but don't want the maintenance required by the simple wood edge, this is a good choice. They can also be finished to match your cabinets. 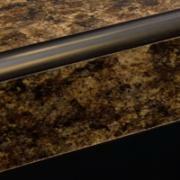 This edge features the beveled look, but is completely laminated. 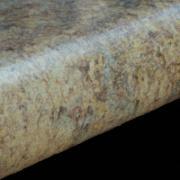 The colors of laminate would be completely customizable on each edge. 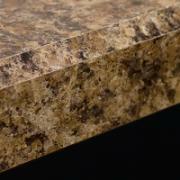 This edge has a rounded solid surface edge along the top and bottom, and laminate on the front. 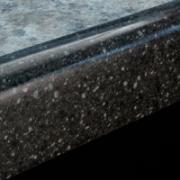 Solid surface edges in a variety of profiles can be applied to the front of a laminate countertop. 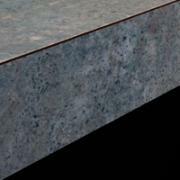 This is the most common edge choice for laminate countertops. Many people are familiar with this edge. 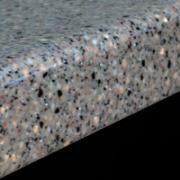 A full wrap-around edge profile, which was made popular as solid surfaces came into common use. A very tidy-looking and popular edge choice. A standard, flat edge with laminate along the front. Usually, this is the same color as the top. However, since it is custom High Definition laminate, the color is the your choice. "As the owner of Cache Valley Cabinets & Tops, I promise that my employees and I will always treat you with respect, courtesy, and professionalism. ​If we fall short of this in any way, tell me about your experience and I will personally send you twenty dollars."